Is this a jewel or what? Interesting photo. 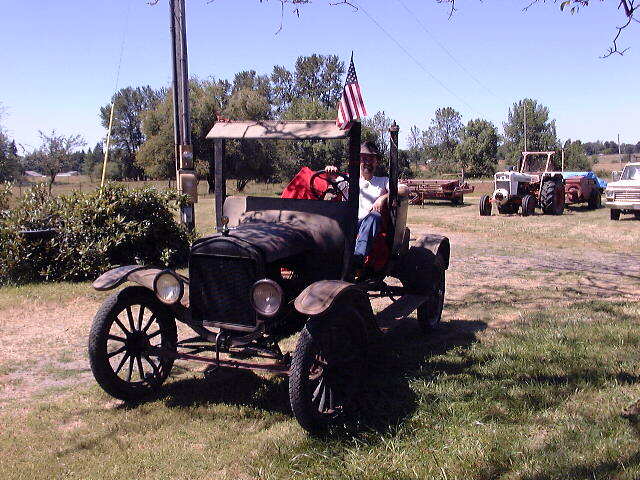 I noticed a couple of things different from a 1915 Ford. 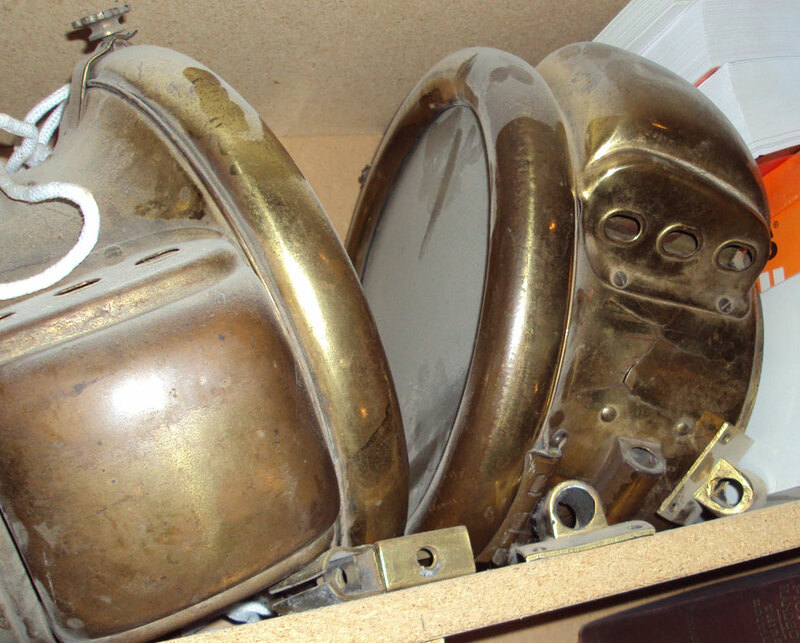 Starting with the sidelights, they appear to me to be Gray and Davis black and nickel lamps. The front nickel door is much larger than the regular Ford style lamp. It appears to me that the overall height of the side lamp is taller than the standard Ford light. Next the gas headlamps. First they are much larger in diameter than a normal Ford lamp. 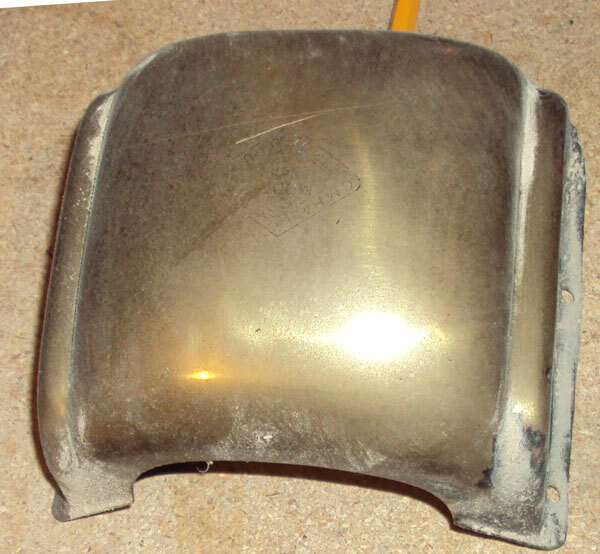 The bonnet is the style and shape of a Gray and Davis lamp. Notice the inner reflector inside the front door, a typical Gray and Davis feature. Also note the bar running from lamp to lamp. These lamps are much larger than standard Ford issue. Also under the passenger lamp is some sort of bright plated extension, wonder what it is? Note the headlamp forks are a side mount style instead of a single post mount as Ford used. Sorta reminds me of my coupe when I first got it running. Except for the year, paint and doors! My dad in the passenger seat. Thank you found this picture, very interesting. Start crank similar to 1914, an early Coupelet. Perhaps they added the different lights as an option. It looks like the splash shields have the crease in them as per the discussion on a previous thread. Wood handle on the crank. Similar to Henry Ford's personal '15 Couplet. The guy in the picture above resembles James Cousins in the passenger seat. Those cowl lamps in the first pic probably are E&J #6's, which were used on some of the early Coupelets. I don't have a clue about the head lamps. Note that "Henry's" Coupelet has front-hinged doors and fenders which are curved down at the front. Edsel also had a '15 Coupelet, but I'm unable to find any pics of it just now to compare them. Edsel's car had a blue body. "By the way -- a note posted by Trent back in Sunday, January 30, 2005 - 09:06 pm: shared: I have found documentation at the Henry Ford that the 1915 coupelet bodies were supplied by Fisher and that the first two delivered went to Henry and Edsel Ford." 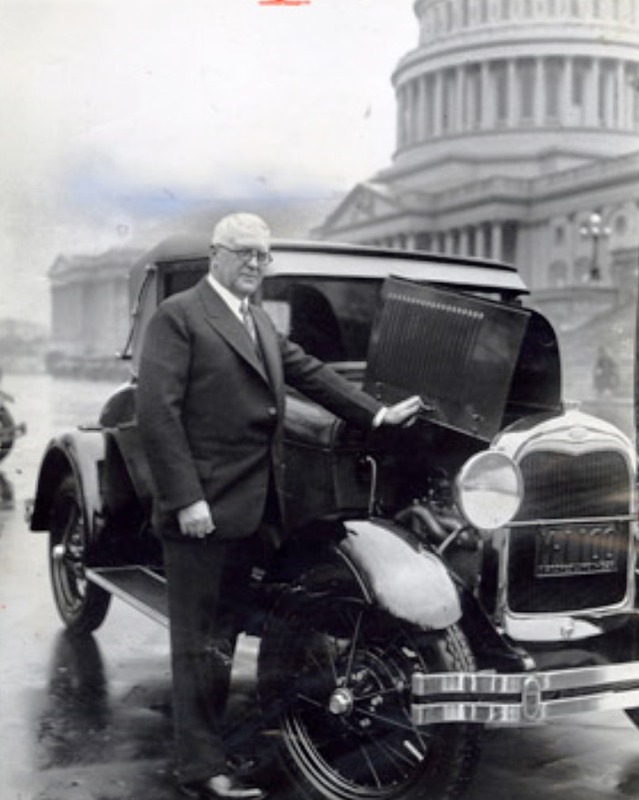 This is senator James Couzins (correct spelling) in 1929. He still likes the same body style in his Fords! That is a pip of a photo. 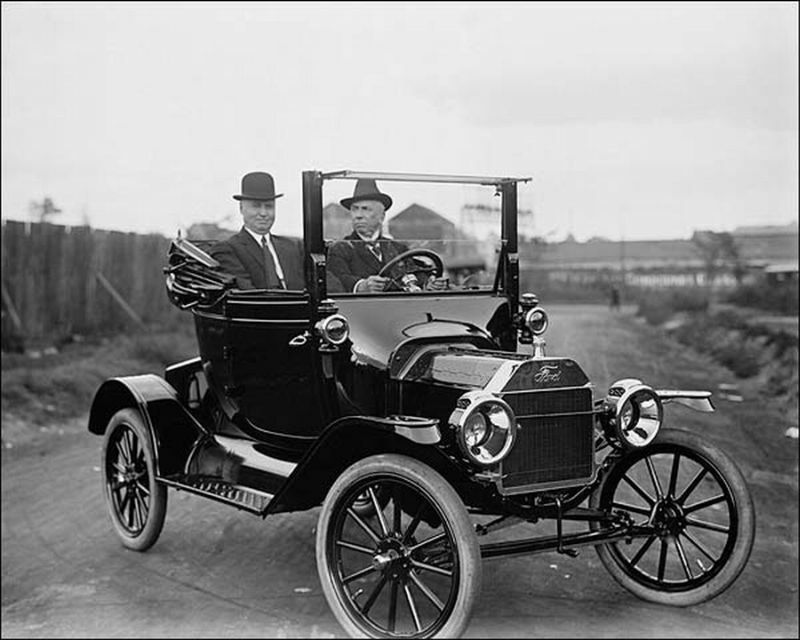 In your post above you observe that James Couzins' Model A is the same style as his Model T. By that I suspect that you are suggesting that his Model A is a Cabriolet. Such is not the case. 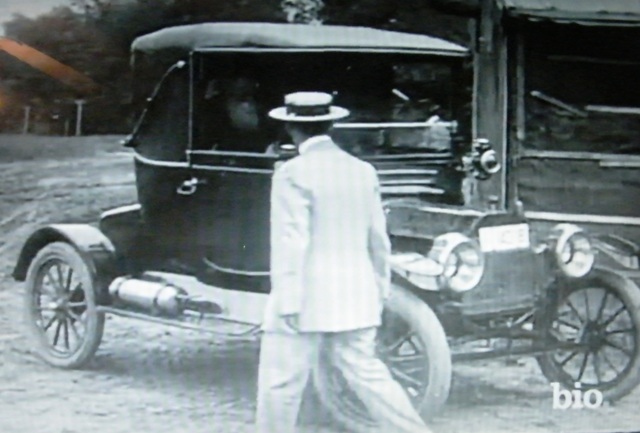 The Model A depicted in the photo you posted is in fact a Sport Coupe and the top is stationary. Passenger is thinking: 'Boy does that stink; I hope he doesn't notice! Good thing the top is down! In fact I knew that. Thanks. 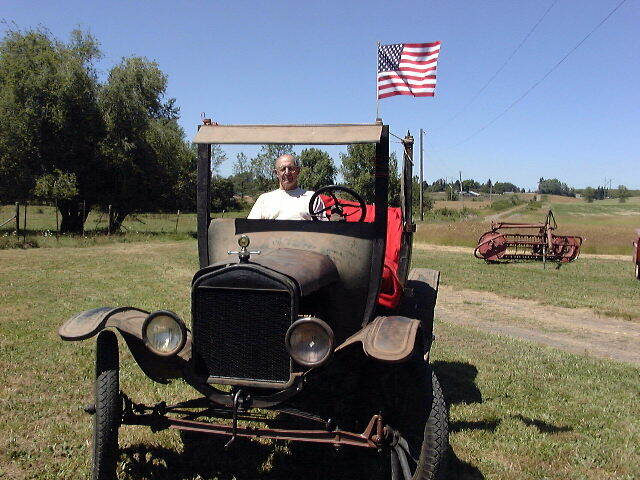 I was observing that James Couzins remained a Ford Coupe customer even after the Model T age. I in no way suggested that his '29 was a cabriolet. Wasn't this photo posted a few months ago? Larry -- If you're asking about the first photo in this thread, I sent it to you a while back. Pretty car, rad. looks silverplated along with headlights.